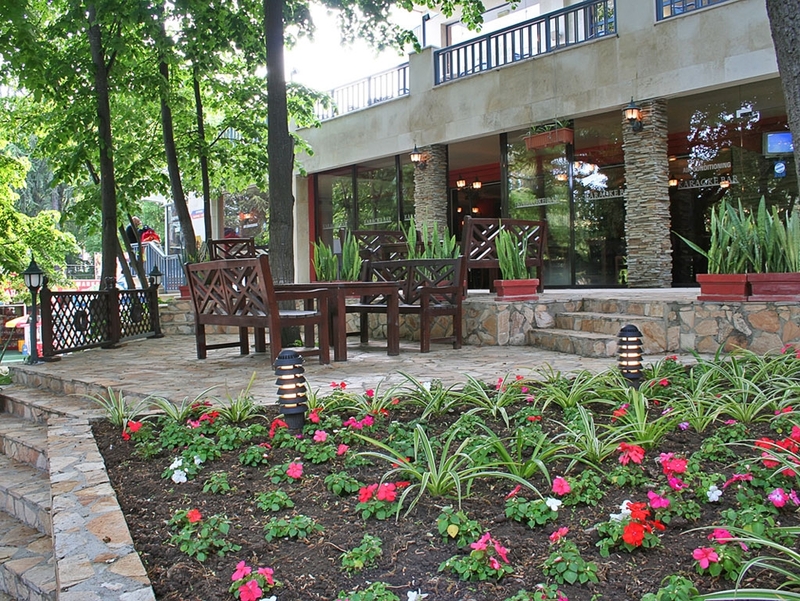 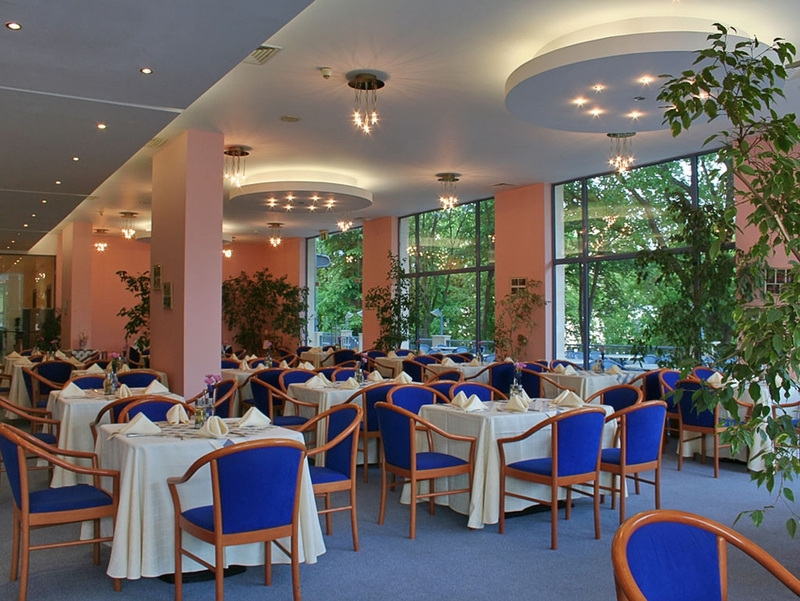 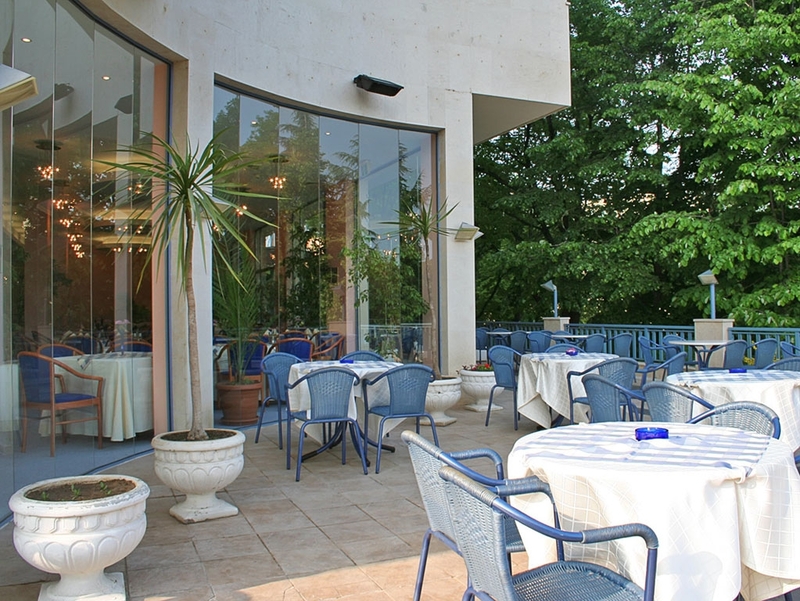 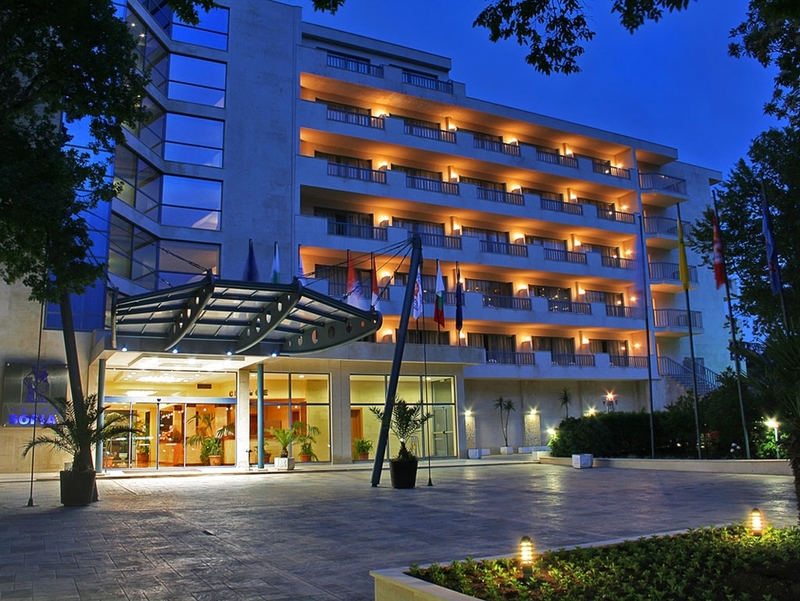 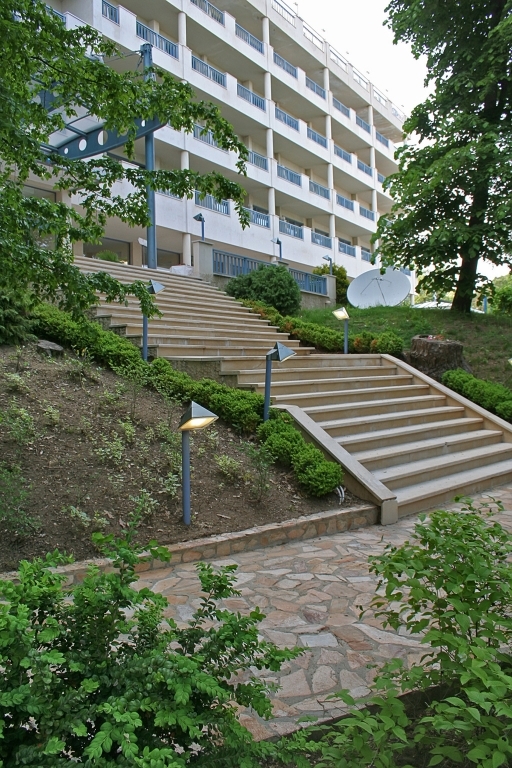 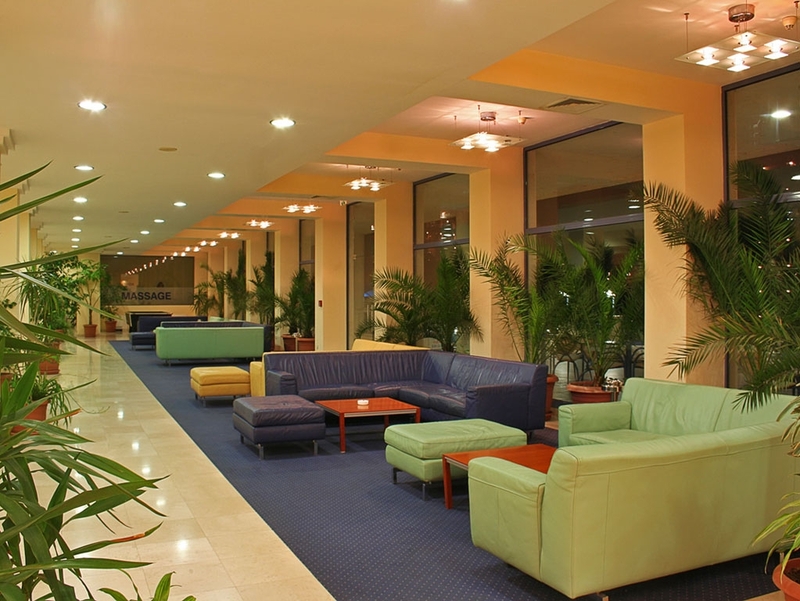 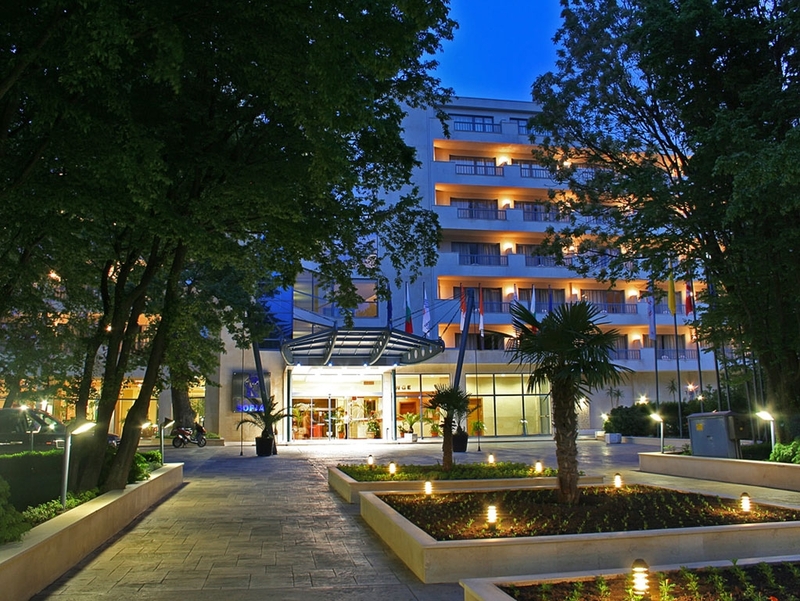 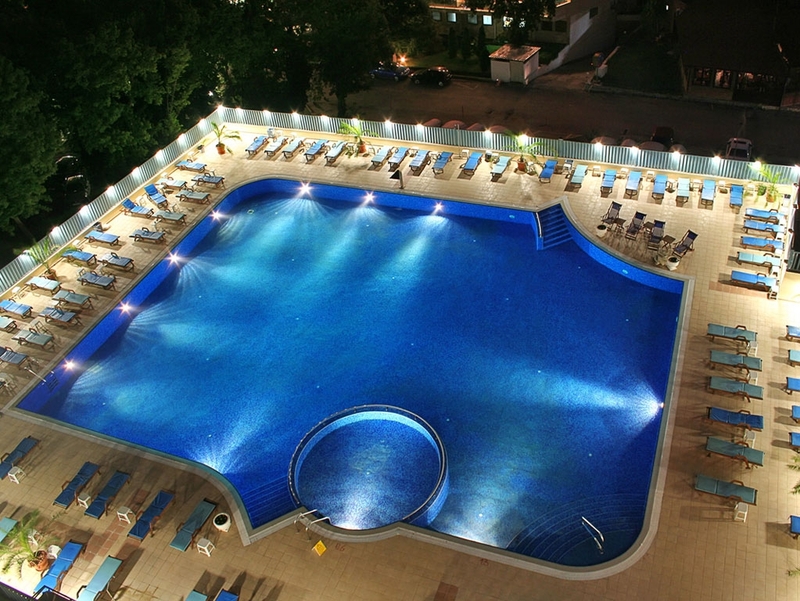 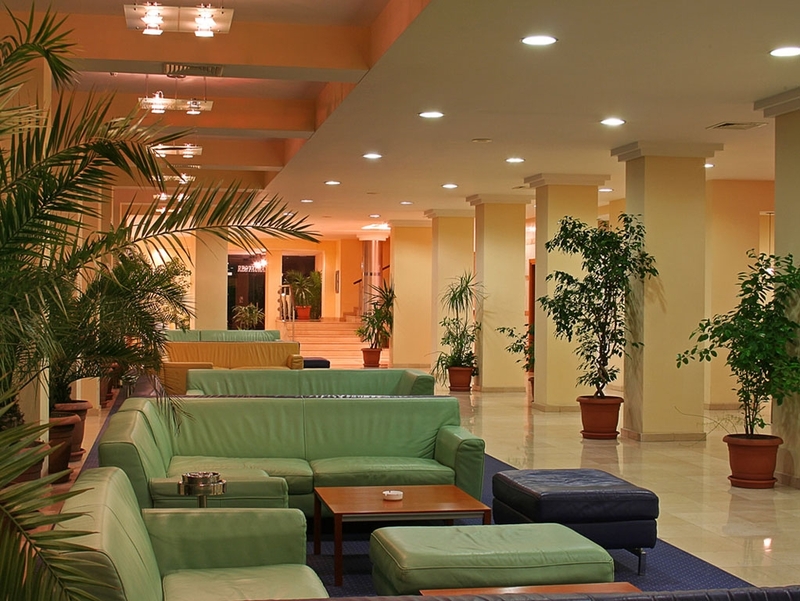 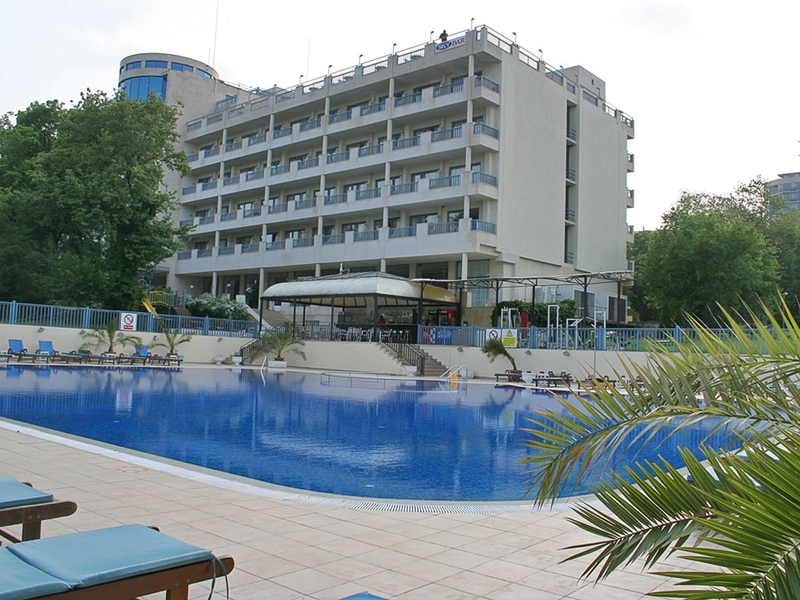 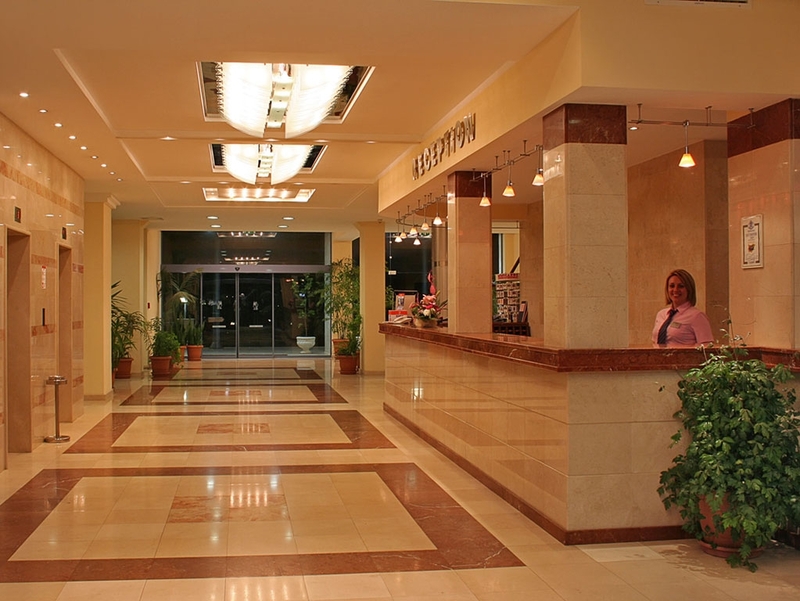 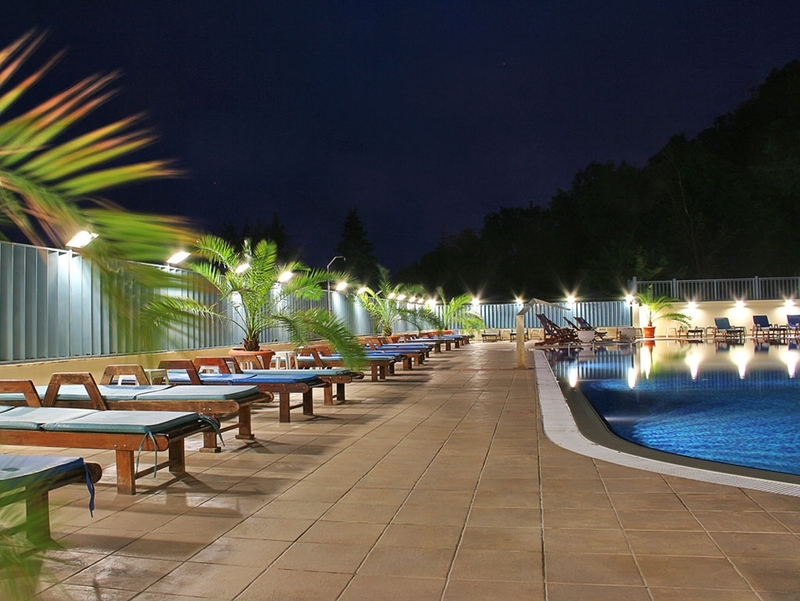 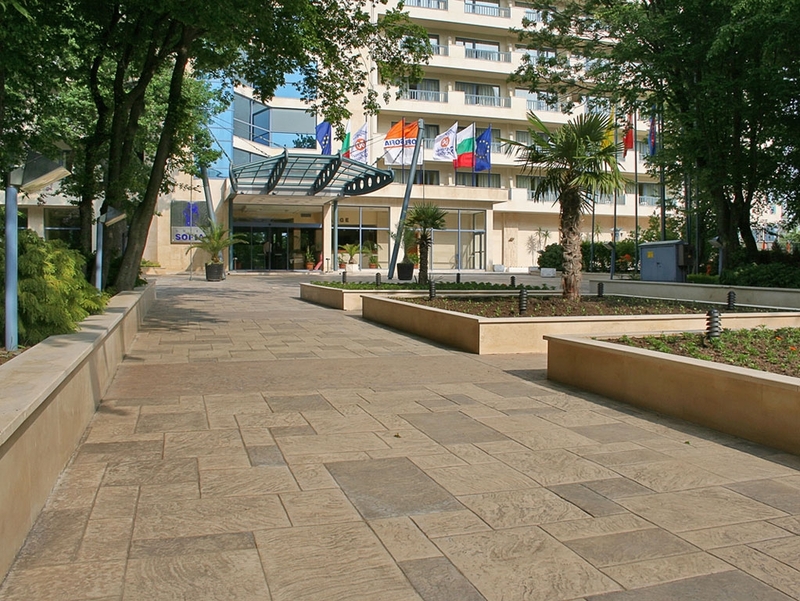 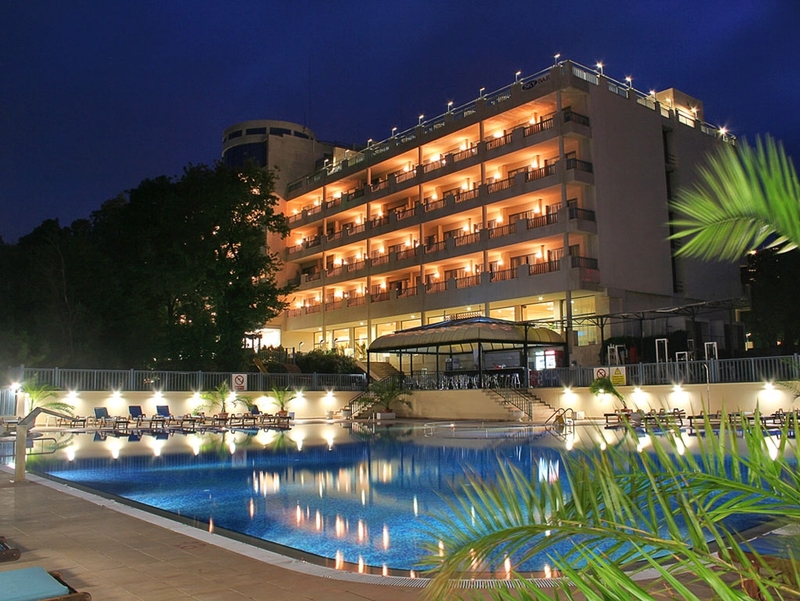 Built in 2002, Hotel Sofia is an elegant hotel located in the center of Golden sands and 150m from the beach. 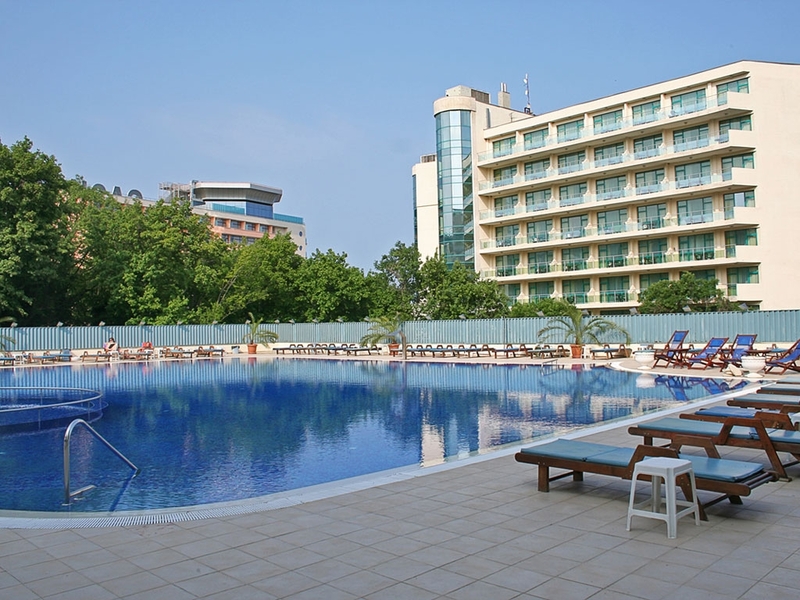 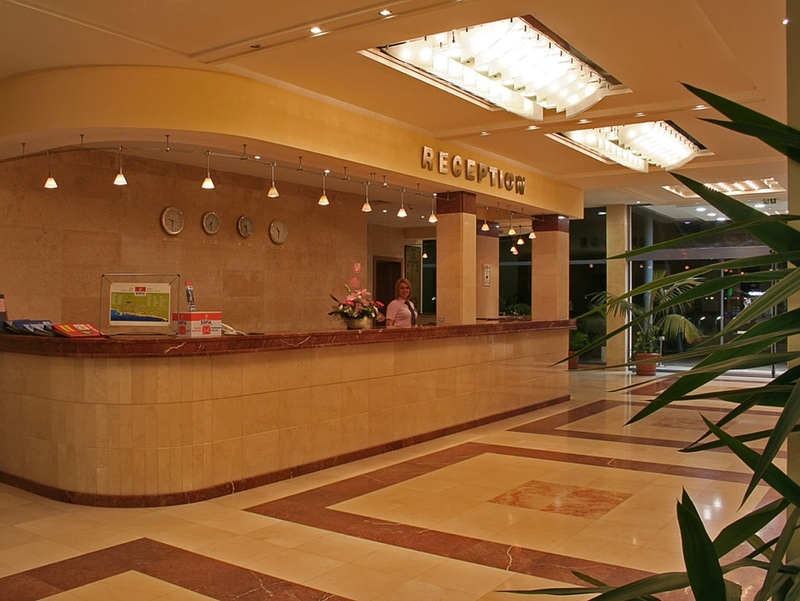 The hotel offers its guests 136 rooms, most of which with sea view. 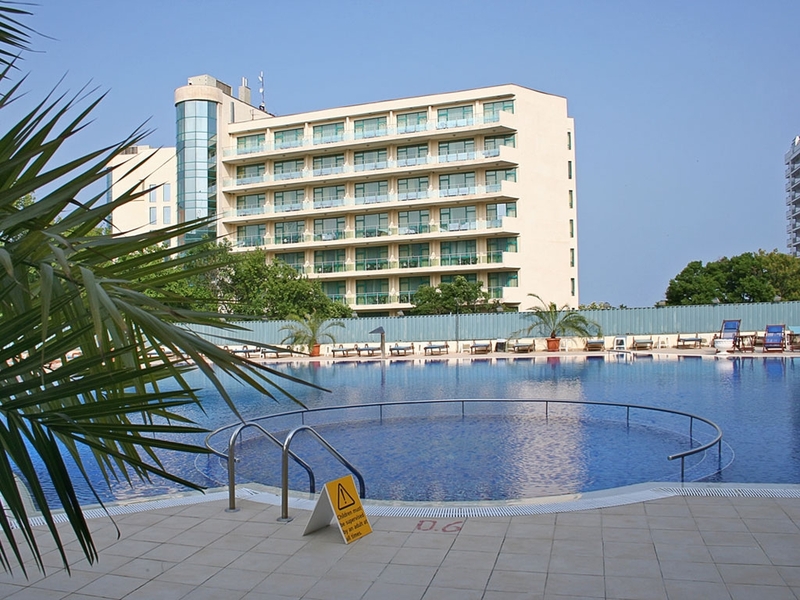 Each of the rooms has air conditioning, bathroom with a shower cabin, mini bar, satellite TV, telephone and a balcony facing the sea or the park. 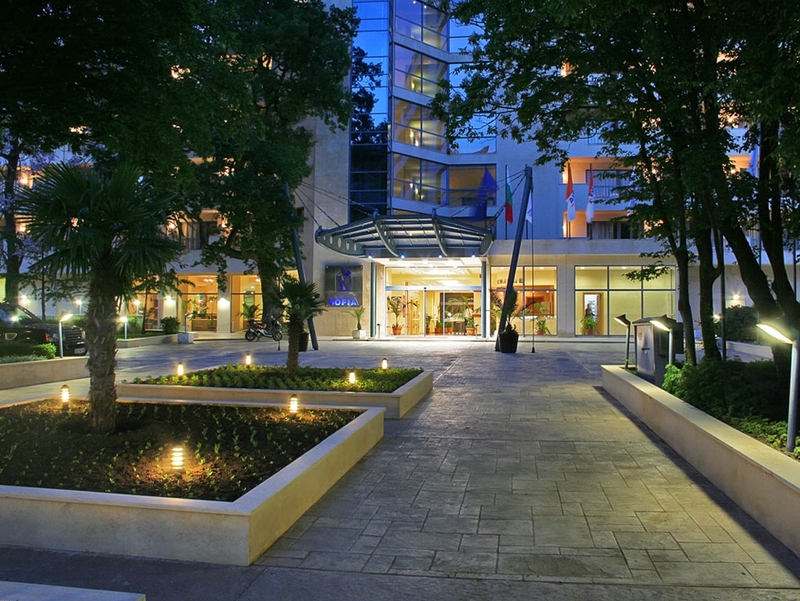 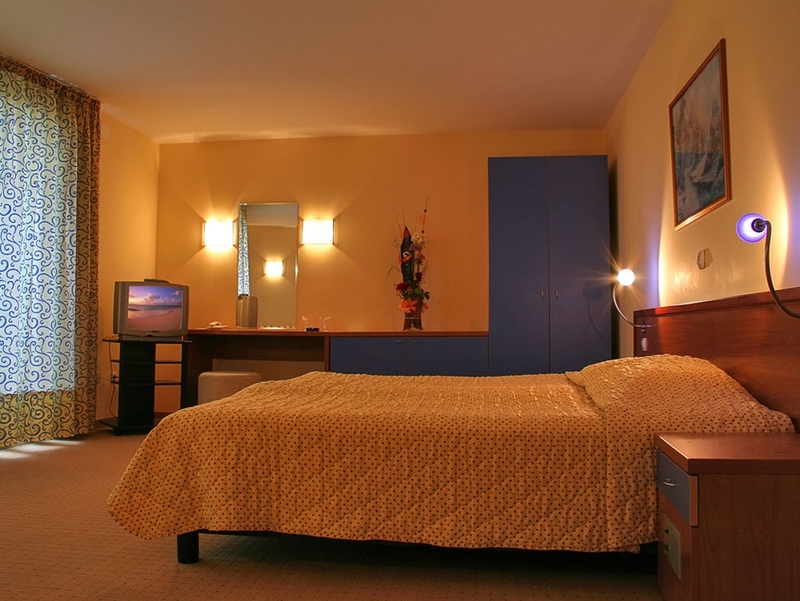 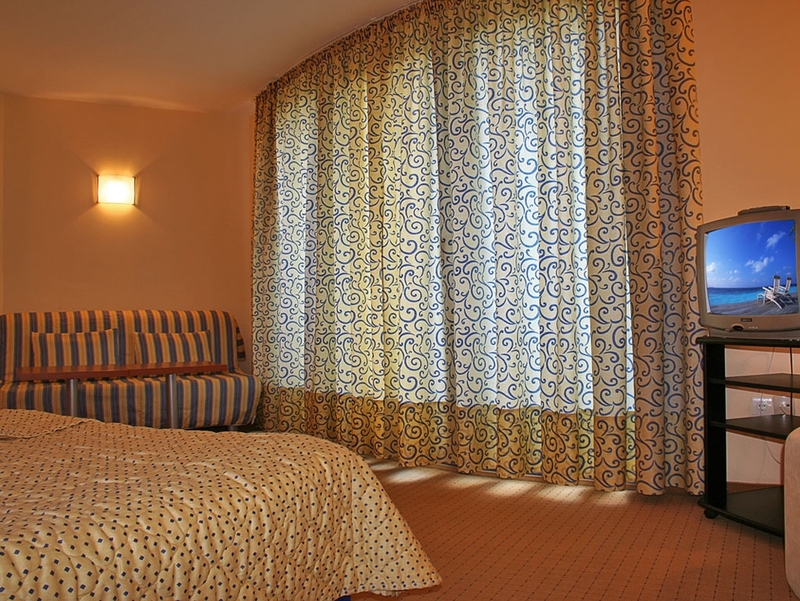 Hotel Sofia offers extra beds in all standard rooms and suites on request. 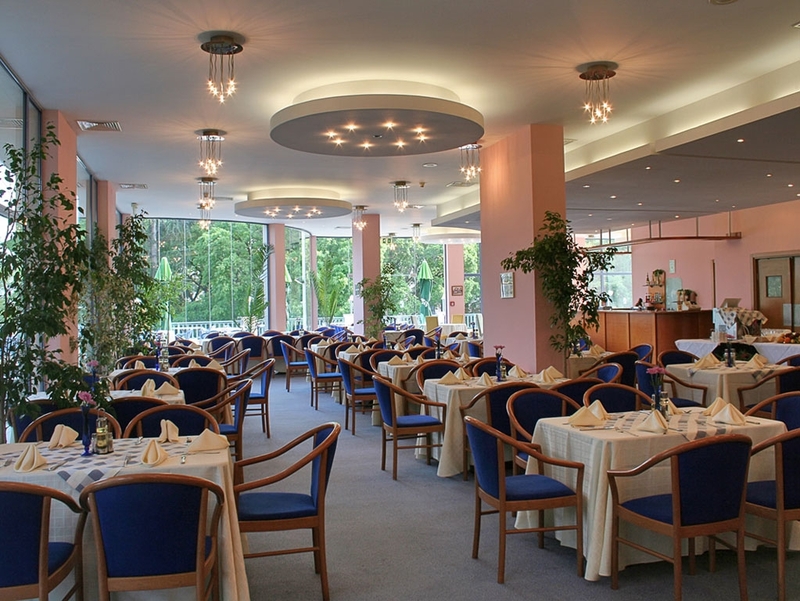 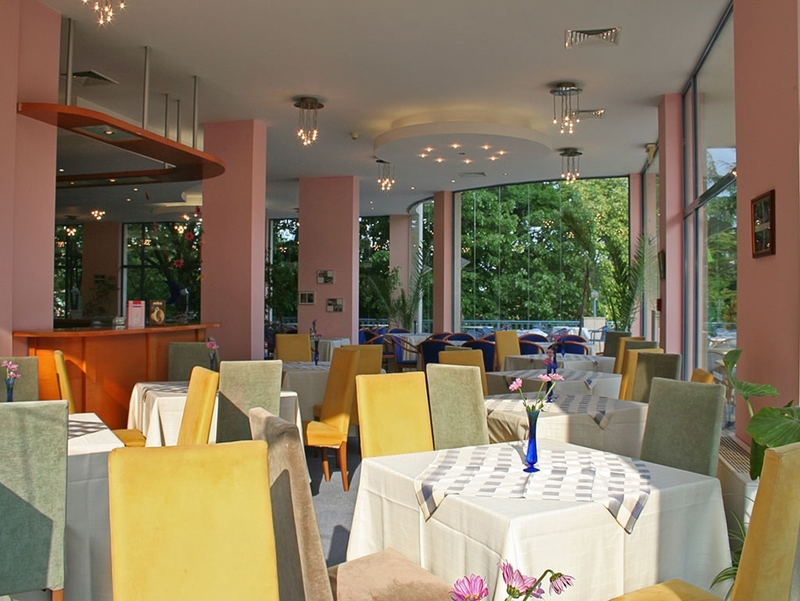 For your taste sensations Hotel Sofia has a modern restaurant with 250 seats indoors, and 80 seats on the panoramic terrace. 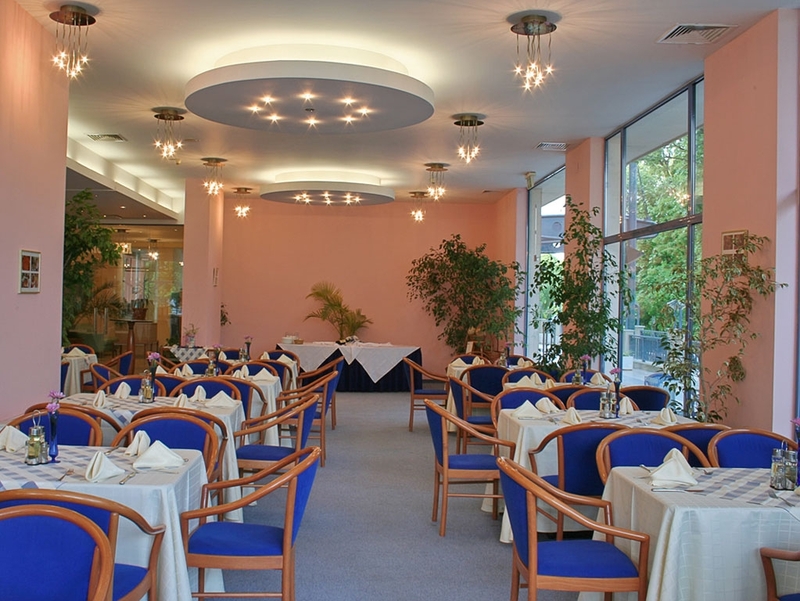 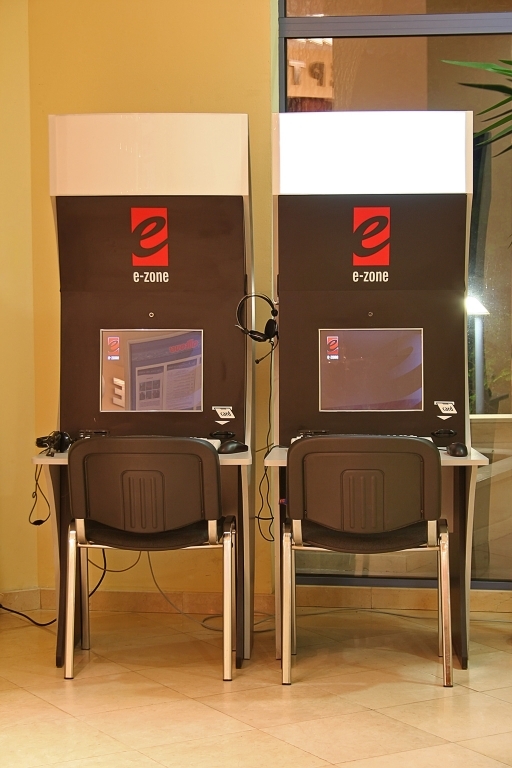 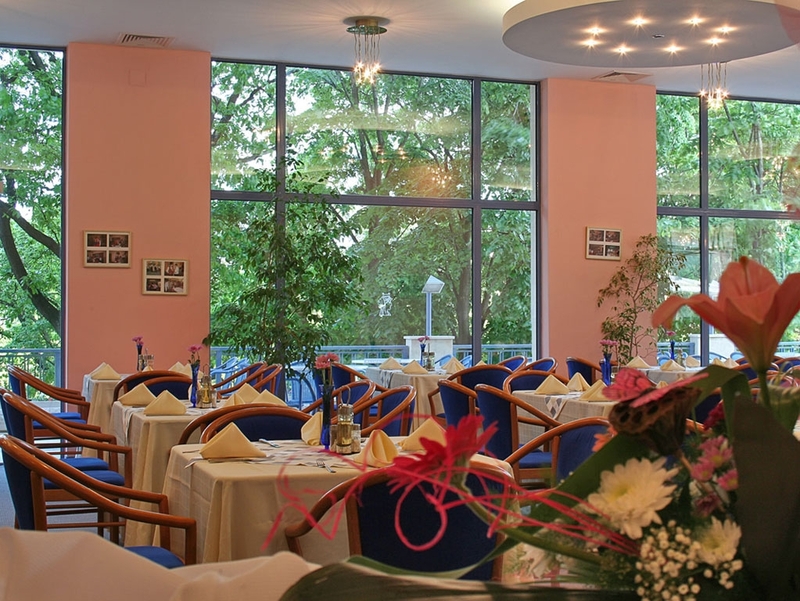 The menu of the restaurant includes exquisite national and continental cuisines. 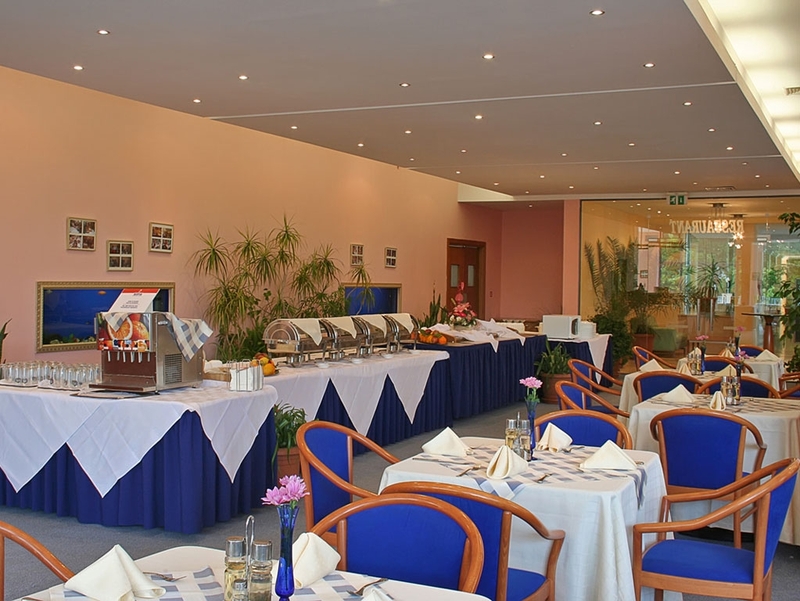 The buffet offers a wide variety of dishes for breakfast and dinner and the exotic A-la-carte menu will leave you a pleasant memory. 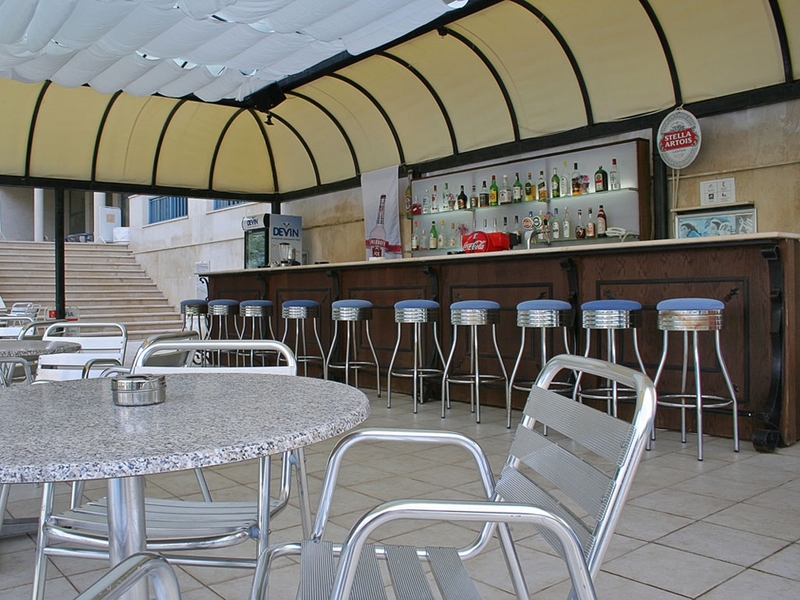 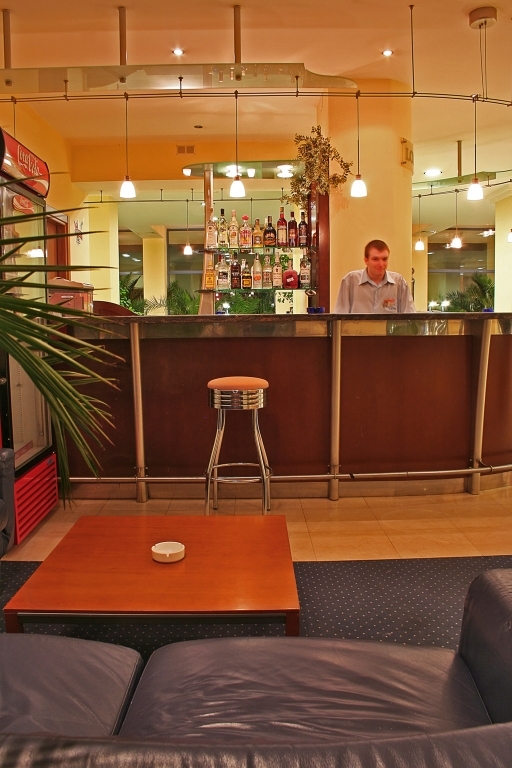 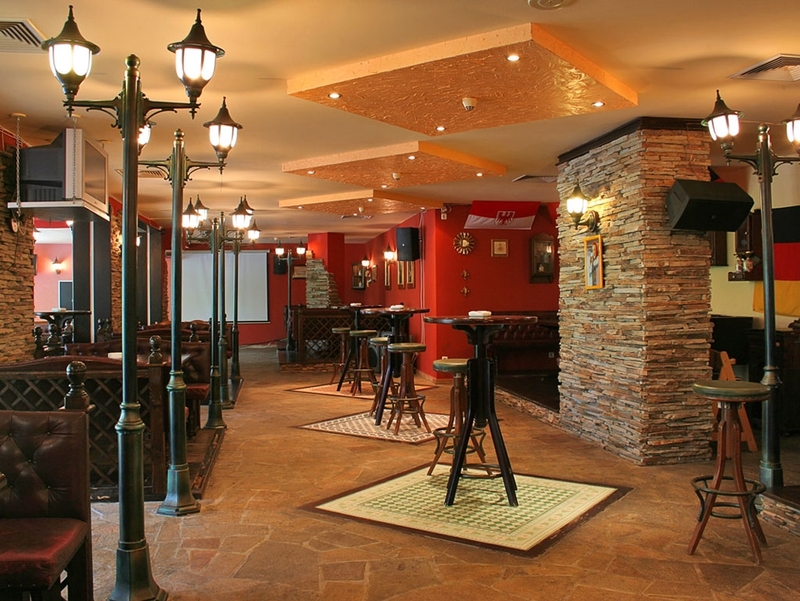 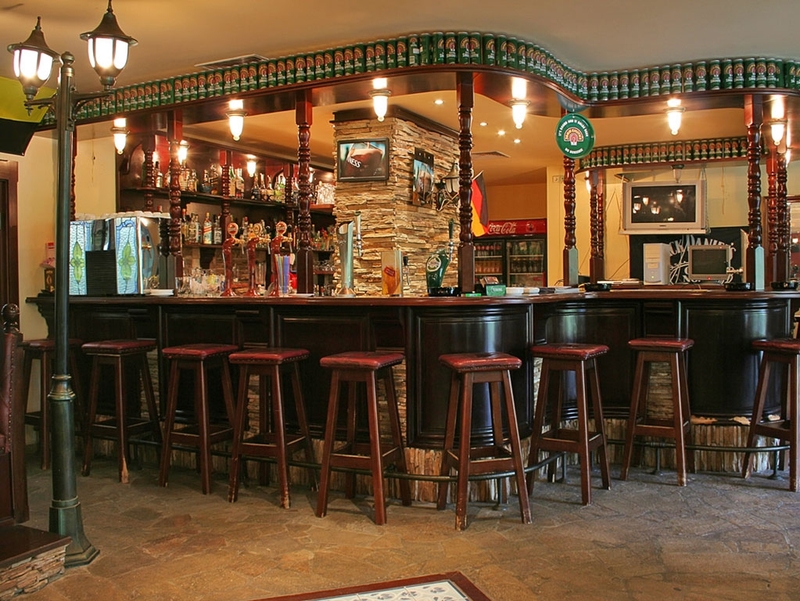 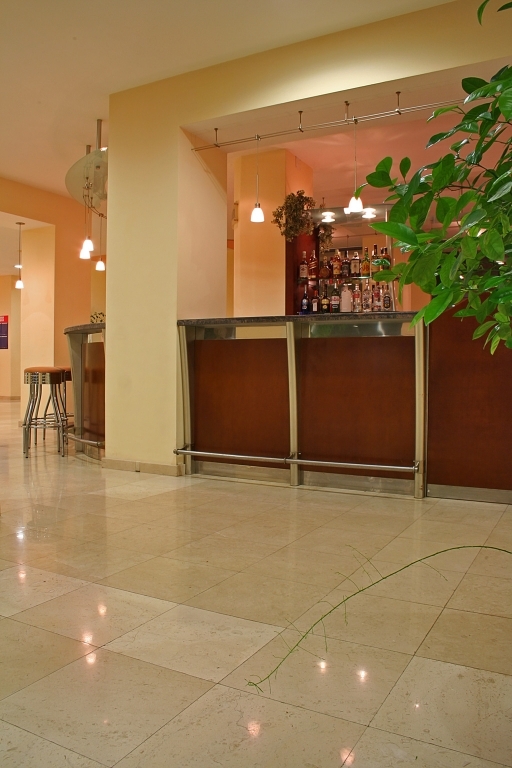 For a drink at the hotel you can visit either the Lobby bar, Irish pub or the Pool bar. 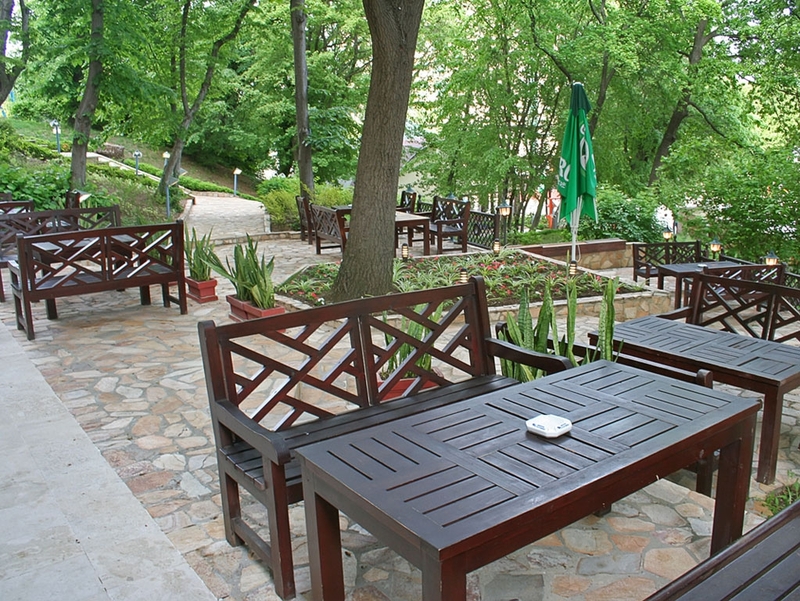 While there don’t forget to check the terrace, the view is just mesmerizing. 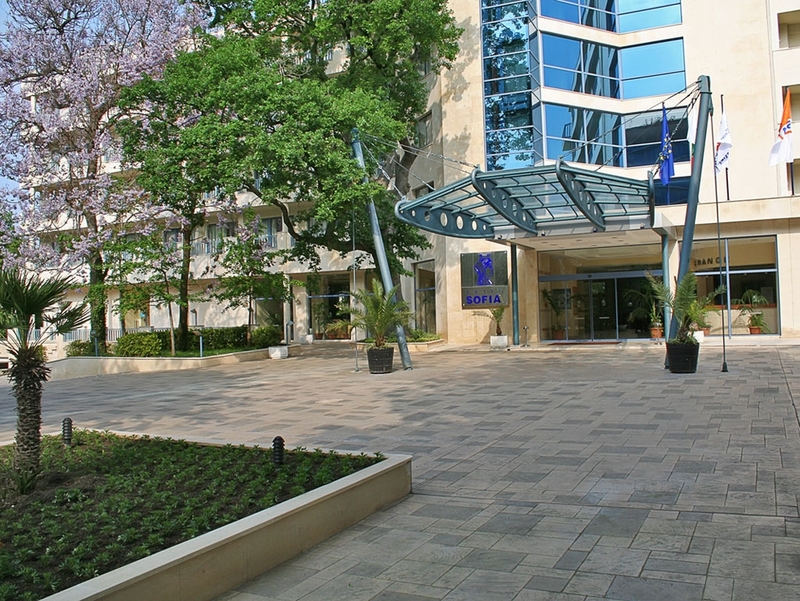 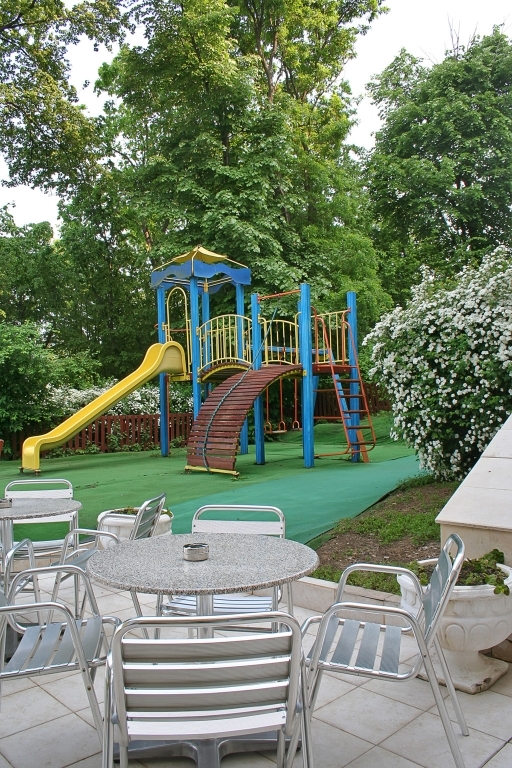 Hotel Sofia offers great variety of entertainment for kids and for grown up kids. 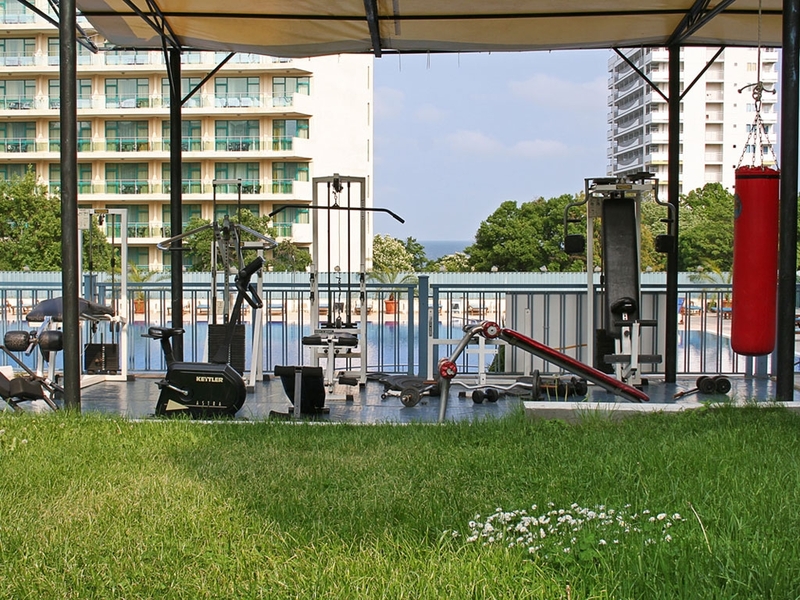 While the little ones are having fun at the Children’s playground area and Kids park, you can visit the fitness area, lay down for a massage or practice some sports like Beach volleyball and football, Mini Golf, Darts or Snooker. 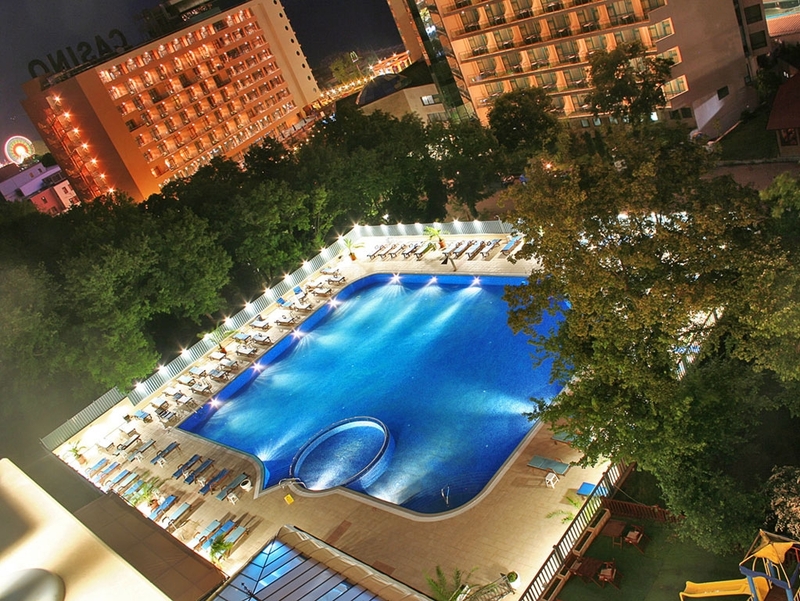 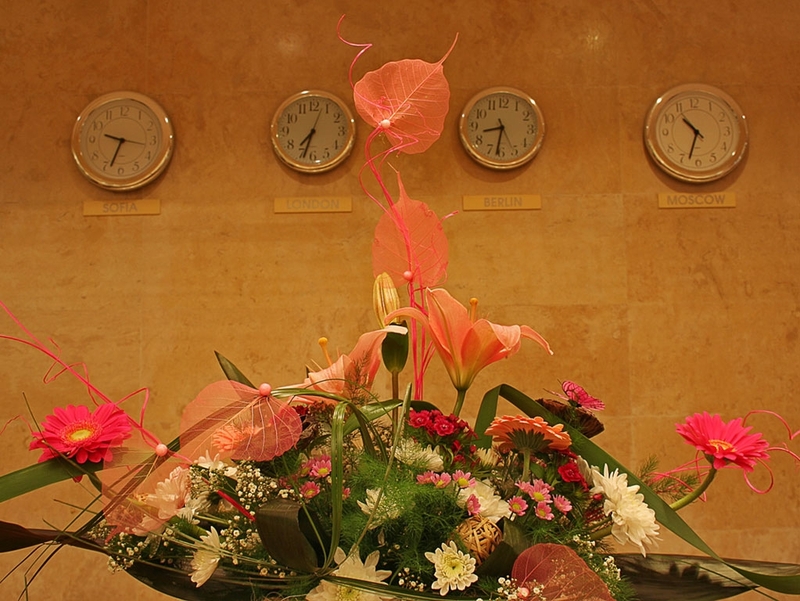 And at the end of the Summer Hotel Sofia offers you to stay for a September summer and keep your vacation spirit alive.